We’ve reviewed more than our fair share of car speakers as of late. Aftermarket speakers are very popular for people looking for either a replacement or an upgrade. One of the most common questions we’ve been receiving about them is with regards to their measurement. Curious about this question, we asked Nick, who has been a car stereo enthusiast for the longest time. If there’s a person who knows the answer, that would be him. He gave us the lowdown on how to measure car speakers, and we’ve put it together into a simple guide for you guys. 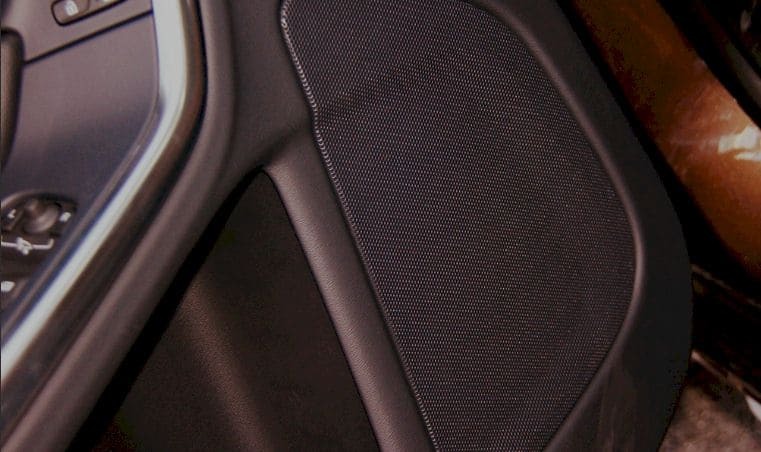 While there are multiple factors to consider when updating your car’s sound system, the size of your speakers should be one of your biggest concerns. Not picking up speakers of the right size is problematic for many reasons. The speakers with the wrong measurement will not fit into the dimensions of your car, which would then make modifications necessary. Also, not all cars have the same speaker setup. Therefore, a set of speakers that fits in Car A may not fit with Car B, and vice versa. As such, it is vital that you pick up correctly sized speakers to make your life infinitely easier. The problem is that speaker manufacturers do not follow a specific system for measuring their speakers. Furthermore, the given measurements of a speaker don’t really correspond to the speaker size itself. This is what most speaker buyers don’t recognize, and it gives them major headaches come installation time. There are multiple measurements taken in speakers, and each one will greatly help you in finding a speaker that fits flush in the specific area where they will be used. Diameter- Contrary to popular belief, the size of the speaker is not measured using the diameter of the speaker cone. Rather, the measurement is based on the diagonal length of the speaker frame. On 4-hole speaker frames, the measurement is done starting at one hole and ending at the hole located at the opposite diagonal end. Other speakers with more or less than 4 holes measure their speakers based on the diameter of the frame. Mounting depth- The mounting depth is measured from below the speaker’s mounting flange to the base of the magnet. This corresponds to how deep your speaker goes as you insert it in place. A speaker with excessive mounting depth will end up bumping on surfaces beneath it, which would either cause your speakers to not fit flush or damage the speaker or housing. 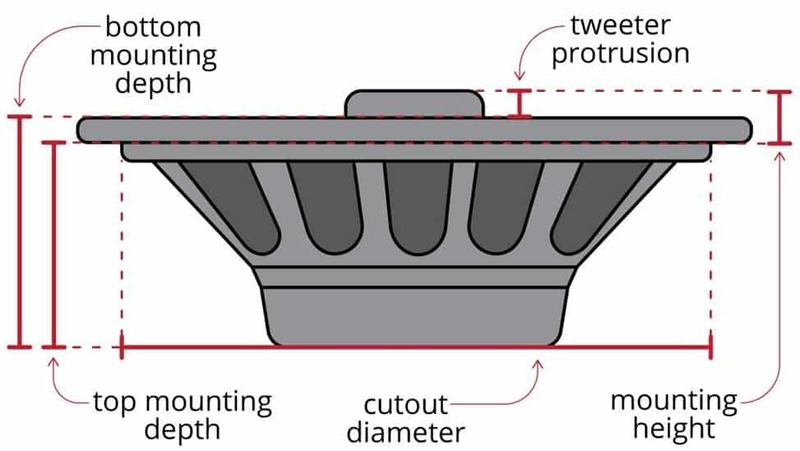 Mounting height- The mounting height is the distance from the mounting flange to the speaker’s highest point. The lower the mounting height, the flatter it will look once mounting is completed. It is important to measure this to prevent your speaker from bumping in surfaces such as door panels or grills. The mounting height should fit flush to the space allotted for your speaker. Cutout diameter- The cutout diameter is measured as the largest diameter at the back of the speaker. Commonly corresponding to the largest diameter at the bottom of the speaker flange, it is correspondent to the size necessary for the speaker to fit into your car’s speaker slot. As mentioned earlier, the biggest problem facing buyers is the fact that no standardized means for measuring speakers exist. As such, learning how to measure car speakers is considered as something of a vital skill. Learning these measurements is perhaps your best bet to avoid purchasing ill-fitting speakers for your car. Nick shared some additional tips you can use to ensure that you get a set of speakers that fit. Check out speaker guides- Measuring the appropriate size of speakers for specific car models can sometimes be tricky. Making things worse is the fact that some manufacturers follow non-standard speaker sizes to better work with the dimensions of their car. Given this, there are some websites that maintain a database of stock speaker measurements for specific models of cars. Such databases contain measurements for some of the most popular car models, making it much easier for buyers to find appropriate replacement speakers for their cars. Consider modifying your speaker mounts- In some cases, accurate measurements for stock speakers are not available for specific car models. Also, there are some cases where stock housing measurements do not correspond with any available aftermarket speakers. In these situations, the only available option is to modify the speaker housing. Some modifications can be as simple as converting the speaker’s mounting frame to match that of the car’s. Other modifications will constitute altering the housing itself, changing parameters such as housing depth and diameter. Our resident car stereo enthusiast also says that your considerations should go beyond simply making the speakers fit in their respective places (though of course, that is still crucial). You should also consider wattage; the wattage of your speakers and head unit/amplifier should match for optimal performance. You should also check out other performance parameters such as frequency response. Integrated speakers should also be a part of your consideration if you’re looking for fuller sound in minimal space. Knowing how to measure car speakers is an essential skill if you’re looking for aftermarket car speakers. Whether you are looking for a set that matches your stock sound system or you’re looking for an upgrade, it is important that you get speakers that fit. Getting the speaker measurements right is your ticket to getting it done.